One of the short warm up poses think this was a 2 or 3 minute sketch. 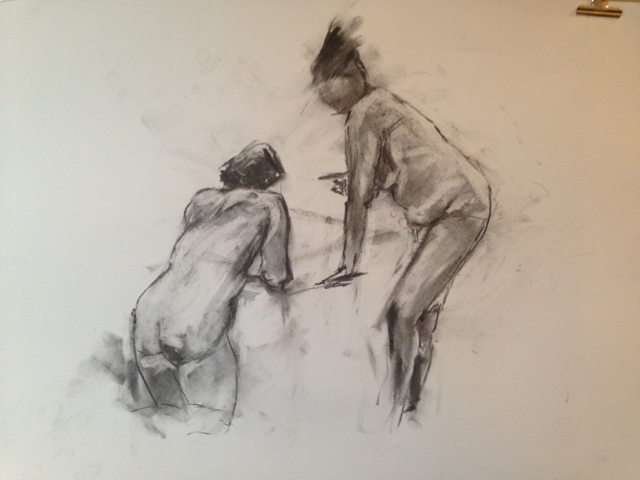 In "Life drawing", "charcoal", "spirited bodies"
Went to the excellent Spirited Bodies last night, wonderful group of models visiting from London. Here's one of the drawings I did from the class. If it is on near you be sure to visit great energy having a group of models working together. Really great theatrical poses and amazing to have two women there modelling for the first time, they were incredible. Thanks to the Edinburgh Drawing School for hosting. 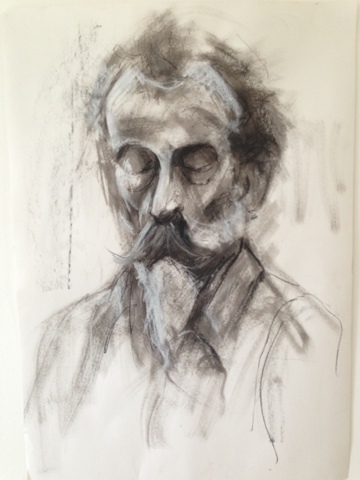 In "Life drawing", "charcoal", "draw", "spirited bodies"
Drawing of Michael Wildman - done at Aine Divine's excellent portrait class. 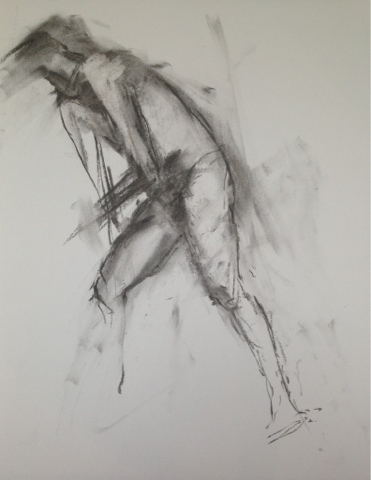 Ink, charcoal & chalk on paper. Aine is an artist whose work I really admire, very expressive portraiture. Michael is a wonderful model with a great face to draw. In "Aine Divine", "Portrait drawing", "charcoal", "ink"